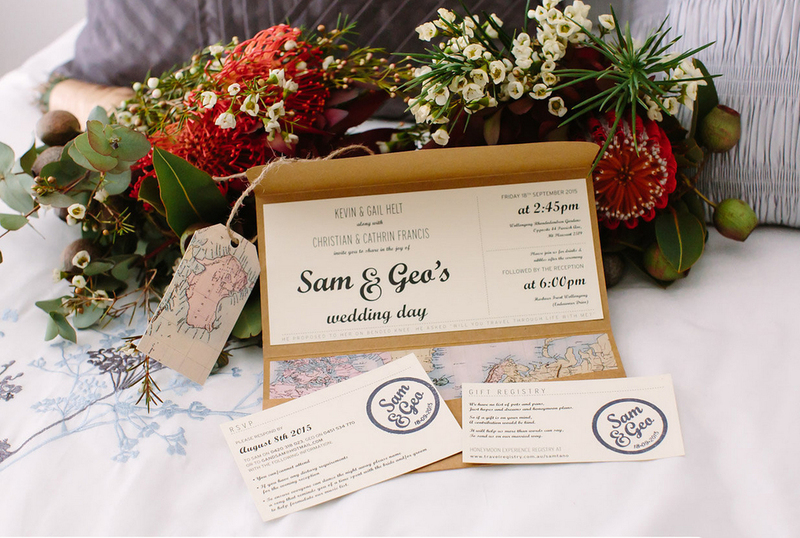 To create invitations, menus, table map and table place cards for a travel themed wedding. The invitation has three separate pieces which each has part of a world map on the reverse that is significant to the couples journey together: where they met, got together, and got engaged (Australia, England, and Canada respectively). 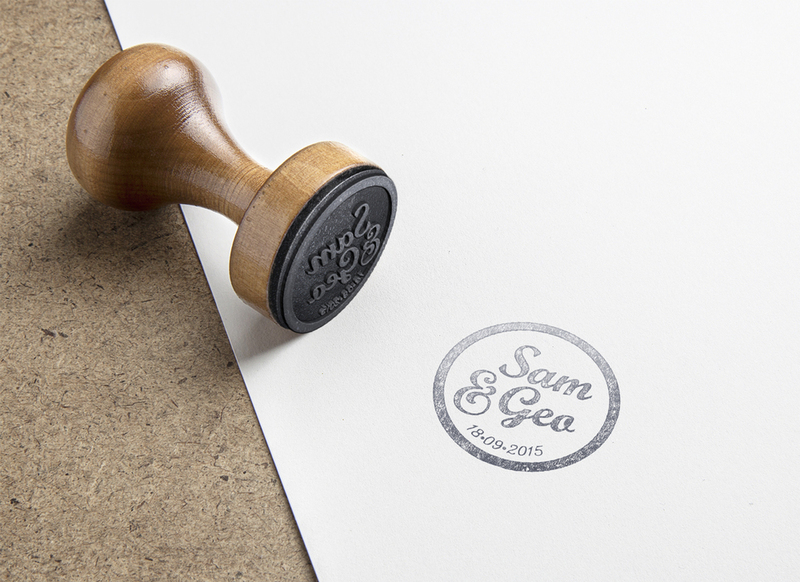 I created their names and wedding date into a stamp to reflect a passport stamp; whilst recognising their beginning of a new adventure. 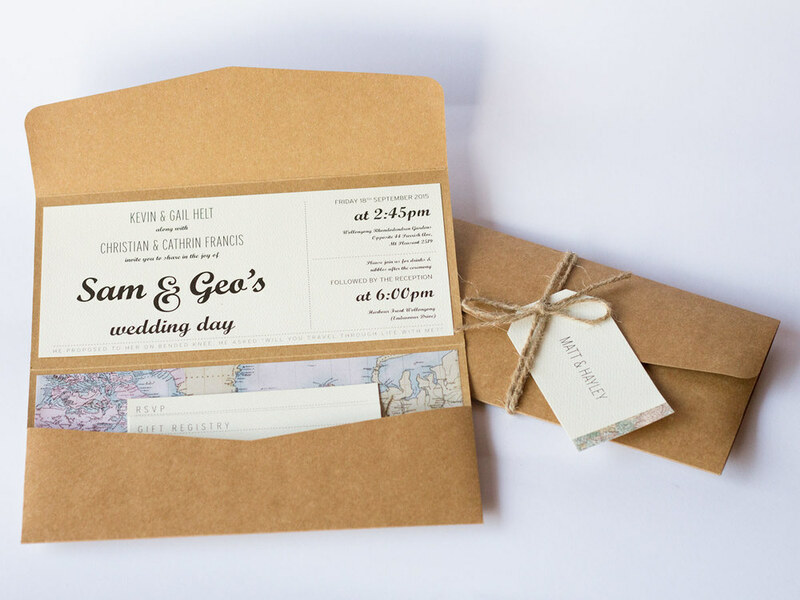 The overall look and feel is rustic / travel to match their wedding theme.